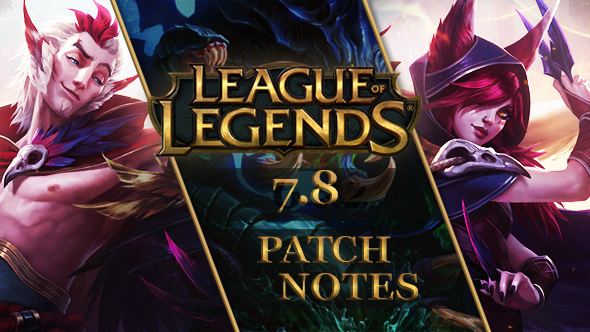 League of Legends patch 7.8 is taking shape now on the PBE. Headline news is the introduction of not one, but two new characters, plus the usual slew of balance tweaks and cosmetic additions. Take a look at the most up-to-date information, taken right from the PBE and compiled below for your convenience. Cut your teeth in Summoner’s Rift with the best League of Legends champions for beginners. Patch 7.8 will be released on the morning of Wednesday, April 19 at 03:00 PT for NA, 05:00 BST for EUW and 03:00 CET for EUNE. Keep an eye on the server maintenance page for the latest updates. 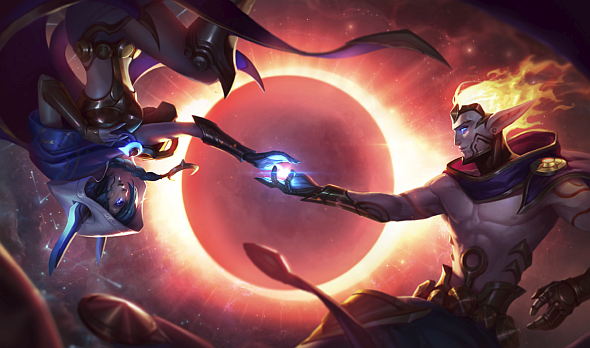 As things wrap up ahead of release, we’ve already had a hint of what’s likely to be the headline feature of patch 7.9: the Dark Star game mode. Patch 7.8’stwonew champions are ready for testing on the PBE now. Teased as a couple, they are in fact individual champions, but their kits have a number of synergies. First up is Rakan the Charmer, a support. Every 40-16 seconds, Rakan gains a 33-254 (+90% AP) health shield. Rakan’s basic attacks and spells on enemy champions decrease this cooldown by one second. 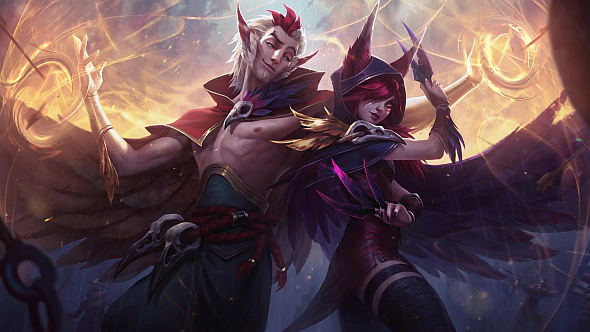 Lover’s Leap – Xayah and Rakan can recall together. Battle Dance’s cast range is increased when cast on Xayah. Touching enemies deals 100/200/300 (+50% AP) magic damage and charms them for 1/1.25/1.5 second(s) the first time they’re hit. The first champion charmed grants Rakan 150% decaying movement speed. Next, meet Rakan’s lover, Xayah the Rebel. She’s a marksman, or a ranged ADC. After using an ability, Xayah’s next 3 basic attacks will hit all targets along their path and leave a Feather for 6 seconds. “Also, each feather past the first deals 10% less damage, with a floor of 10% at 10 feathers (100%, 90%, 80%, 70% … 10%, 10%, 10%)” -src. Crit scaling is “0.5% increase to total damage done for each 1% critical strike chance” -src. As always, patch 7.8 will tweak a number of champions for balance, but remember that stuff on the PBE is neither guaranteed to happen, nor to be in the next patch even if it does. This is what the folks over at Riot are thinking about doing. 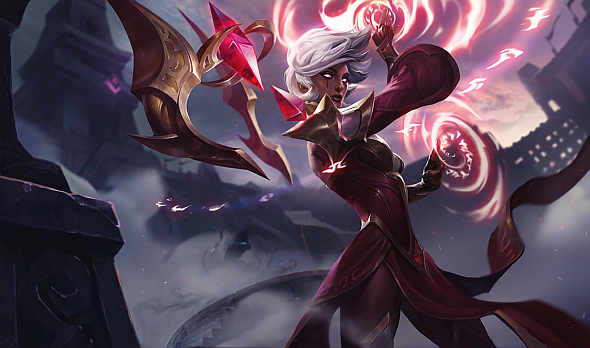 We’ve got the numbers on what’s changing, and a general guideline on which way each champion, item, mastery, summoner spell or rune is moving. Hellbent can now also refresh on monsters. Hellbent bonus attack speed increased to 30/40/50/60%. Heal increased to 6.5% of missing health. Effect is no longer decreased by resistances. % max health decreased to 1/1.25/1.5/1.75/2%. AP ratio increased to 70%. Base armour decreased to 18. Voidling HP decreased to 2. Voidling bounty decreased to 5g. Mana cost increased to 50/60/70/80/90. Empowered auto attacks changed to 15/20/25/30/35/40 at levels 1/4/7/10/13/16. Energy cost reduced to 150. Base shield value decreased to 175/350/525. Shield now scales based on target’s missing health, up to 160% of base value (280/560/840). Mana cost changed to 50 at all ranks. Udyr’s stance mana costs decrease by 1 each time he gains a level. Basic attacks no longer deal 15% AD bonus damage. DoT effect now also happens on every third attack after the first. Base DoT damage decreased to 30/60/90/120/150. New applications of Tiger Strike’s DoT on a target already affected now deals remaining damage instantly. All of these are now scheduled for the 7.9 patch, which is aimed for midseason, but they were being tested early on the PBE. To reiterate:the following changes are not live with 7.8. Unique passive: taking magic damage from a spell or effect reduces all subsequent damage taken from that spell or effect by 15% for 4 seconds. Unique passive – Immolate: damage changed to [11 (+1 per level)], bonus damage to monsters and minions increased to 200%. Unique passive – Stone skin: if 3+ enemy champions are nearby, grants 40 bonus armour and magic resist. Unique active – Metallicise: increases health by 40% and increases champion size, but decreases damage dealt by 60% for 4 seconds (90 second cooldown). If stone skin is active, the health increase becomes 100%. There have been some tweaks to maps beyond Summoner’s Rift this time around. Both Howling Abyss, the single-lane venue for the ARAM game mode, and the two-lane Twisted Treeline have seen a few tentative tweaks. “Slightly up early and down later”, according to Riot. The more levels you are ahead of your target, the less XP you’ll get. Attack speed decreased to 2. Base HP decresed to 4500. 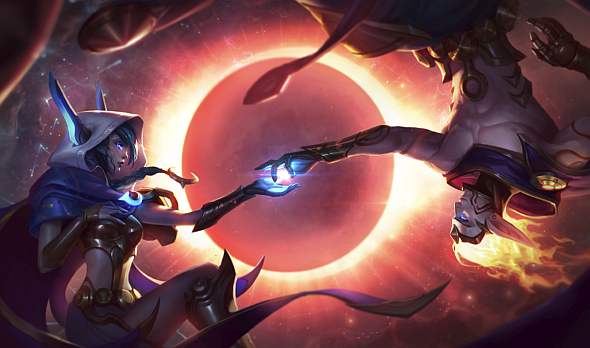 First up, both the new champions get alternate skins. 1350 RP. Details from Riot. 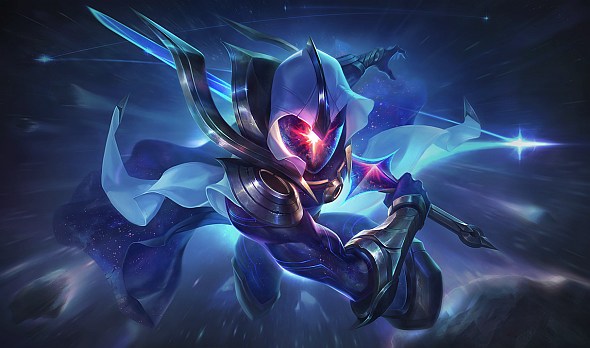 This one’s a legacy skin that’ll be available during MSI and Worlds. And because Karma has a new skin, so does her ward. That’s League of Legends patch 7.8. We’ll update as and when we get more info, or we’ll see you for patch 7.9 in the very near future. Let us know below if there’s any vital info we missed!